Operation Backpack® 2019 planning is underway! In 2018, thanks to our Official Sponsors and 332 corporate and other community partners, Operation Backpack® was able to provide 20,000 children living in shelters, across New York City, with a new backpack full of every grade-specific school supply they needed in time for the first day of school. This way, they started the year looking and feeling more like their housed classmates and less like a child in need. OFFICIAL SPONSORSHIP. To help underwrite the 2019 campaign and enjoy the benefits that come with sponsorship, watch this video or contact Rachel Weinstein, Operation Backpack® founder at rweinstein@voa-gny.org or (212) 496-4305. FUNDRAISE. Get your friends, family and colleagues involved. Form your own fundraising team here. BE SOCIAL. Follow Volunteers of America-Greater New York on Twitter, Facebook, and Instagram, and use the hashtag #OperationBackpackNYC. For other ways to get involved contact us. One of the most devastating consequences of homelessness is the impact it can have on a child's education. Frequent school transfers and the stigma associated with living in a shelter add up to great hardship for these children. If not for Operation Backpack®, many of these children would begin the school year with another disadvantage: unlike their classmates, they would enter the classroom with no backpack and few, if any, school supplies. So on day one, these kids would be identified as "disadvantaged" or worse – "shelter kids" –setting the stage for their entire school year. But the New York City community and beyond has the opportunity to change this story. The success of Operation Backpack® relies 100% on support from the community in the form of financial underwriting, donations of product and services and spreading the word and engaging others in the campaign. 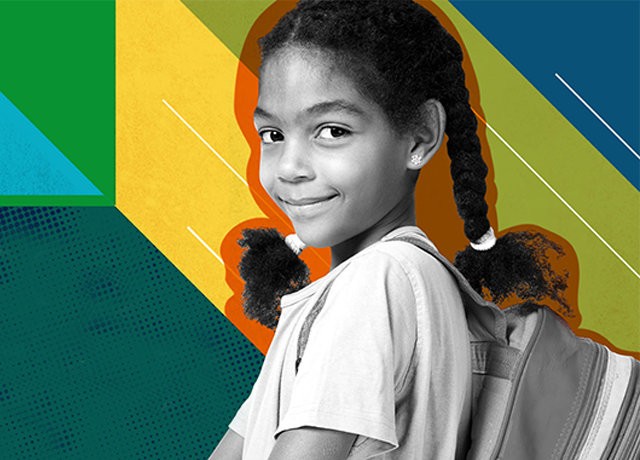 Each year since 2004, Volunteers of America-Greater New York has been distributing new backpacks filled with grade-specific school supplies to homeless children throughout New York City. This year, thanks to the generosity of thousands of people who live in, work in, or otherwise care about New York City, we believe that we will be able to give every student living in a homeless or domestic violence shelter who needs one, a new, full backpack.